All children starting school should be screened for stuttering speech that may persist into their teens, researchers said. 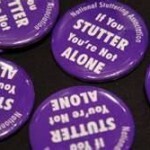 The screening test was accurate in identifying stuttering but less so in ruling out children who were not stuttering. Stuttering tends to start at about three years old. Four out of five will recover without intervention, often within a couple of years. But for one in five, their stutter will persist and early therapy can be of significant benefit. Professor Peter Howell of the University College London, said one of the tell tale signs they found that the stutter would persist was that children got stuck on the beginning of a word, or repeated just the starting sound of a word, rather than repeating the whole word. “There are consistent findings to show that early interventions are more successful than if the stutter is left and treatment attempted later,” he said. Core symptoms were found to be prolonging parts of words, partial repetition of words or ‘blocking’ on the first part of a word. Those who are given professional help from a speech and language therapist at an early age are more likely to improve and get the stutter under control. Researchers have found that the stuttering severity instrument (SSI-3) test was a reliable indicator of who would still have a stutter and who would recover, while other indicators such as family history, which have been used, were less so. It showed the test was highly sensitive and specific in classifying those with a stutter who would recover and those whose stammer that would persist. 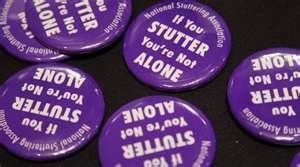 Prof. Howell, however, said it may be that those children who were incorrectly identified as stutterers may in fact have other problems such as hearing impairment or other communications difficulties which would benefit from professional help. A latest paper, published in the Journal of Fluency Disorders, looked at another 272 children with a stutter and 25 without, aged five to 19. “What the paper is showing is that the prospect of being able to screen children looks like a real possibility, based on this data,” Howell said.